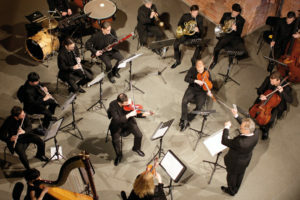 It calls itself the smallest symphony orchestra in the world; founded 2005, the Pocket Philharmonic („die taschenphilharmonie“) is quickly making a name for itself not only in Munich’s busy classical music scene but in whole Germany. In 2005, Peter Stangel, a former „classical“ opera and symphonic conductor, founded the Pocket Philharmonic. He wanted to create a unique kind of symphony orchestra that offered a fresh approach to enjoying classical music performances. The Pocket Philharmonic is made up of just 12 to 19 highly professional musicians. Usually, the ensemble plays only one of each instrument (e.g. flute, oboe, clarinet, basoon, horn, harp, percussion and string quintet). This tiny group stands in stark contrast to a full symphony orchestra, which typically includes about 100 players. Astonishinly enough the „mighty dozen“ is able to produce a volume and colours of much more than the real number of players suggests. One of the aims of the Pocket Philharmonic is to bring the music „closer“ to listeners. With such a small ensemble before it, the audience sees each musician and hears each instrument clearly. Each note becomes important, and listeners hear things that can be drowned out in a large orchestra. Stangel and his musicians also make their music accessible to children. The Philharmonic regularly holds family concerts in Munich (some free of charge), with Stangel explaining the instruments and basic concepts of music to his young audience. 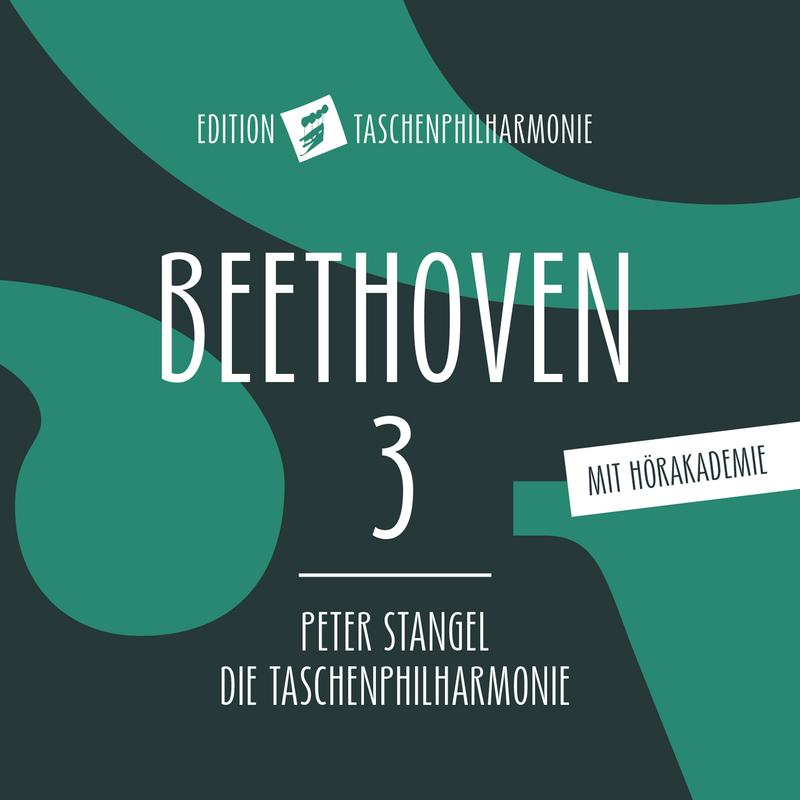 A large edition containing 13 CDs was recently nominated for the „echo classical award“, won various prices and is highly acclaimed. 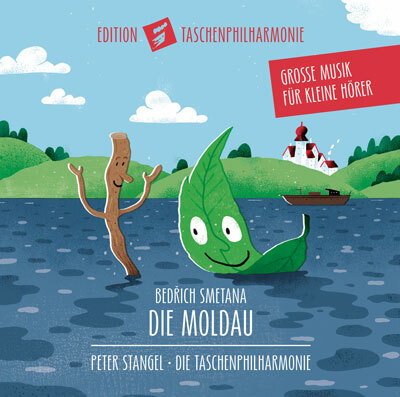 Meanwhile the Pocket Philharmonic has released their 22nd program for children. Stangel was born in 1964 in what is now the Czech Republic and was raised in Hannover, Germany. He completed a degree in music at the University of Music in Wuerzburg, Germany, in 1989. He spent the next 15 years working as a coach, staff conductor and guest conductor of a number of operas in Europe, including Opera St. Gallen, Switzerland; Opera Innsbruck, Austria; and the State Opera House in Munich. 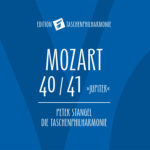 He was nominated „Best Conductor“ in“ Opera World International“ 2000. From 1999 to 2002, he was the musical director and chief conductor of the Max Bruch Philharmonic Orchestra and the Theater of Nordhausen, Germany. In 2003, Stangel began to plan the establishment of the Pocket Philharmonic. He is also successful as a composer (e.g. „Dribbling“, „Cabaret Voltaire“) and is currently writing a book on classical music. The Philharmonic currently has three distinct musical programs. „Adventure for the Ears“ is a series of six annual concerts held at the Court Church of All Saints (Allerheiligen Hofkirche) in Munich. Each concert contrasts the works of two composers who either complement or differ broadly from one another. It includes both classical masterpieces as well as modern compositions. For example, an upcoming concert features Wagner’s Siegfried Idyll, a poetic and romantic piece, followed by Stravinsky’s Bach-inspired Dumbarton Oaks. 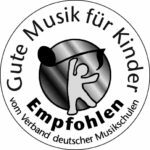 „Listener´s Academy“ is an educational collaboration between the Pocket Philharmonic, the Munich School for Continuing Education and Munich’s University of Music and the Performing Arts. In six annual concerts, the orchestra presents major pieces of the Classical and Romantic Eras. Stangel discusses the piece, with the Philharmonic playing parts as illustration. The piece is then played through in its entirety. Finally, „Great Music for Little Ears,“ is a series of 1-hour afternoon concerts for families. The orchestra plays such children’s classics as Saint-Saens‘ Carnival of the Animals, Tchaikovsky’s The Nutcracker Suite and Schumann’s Kinderszenen. We released a lot more CDs. 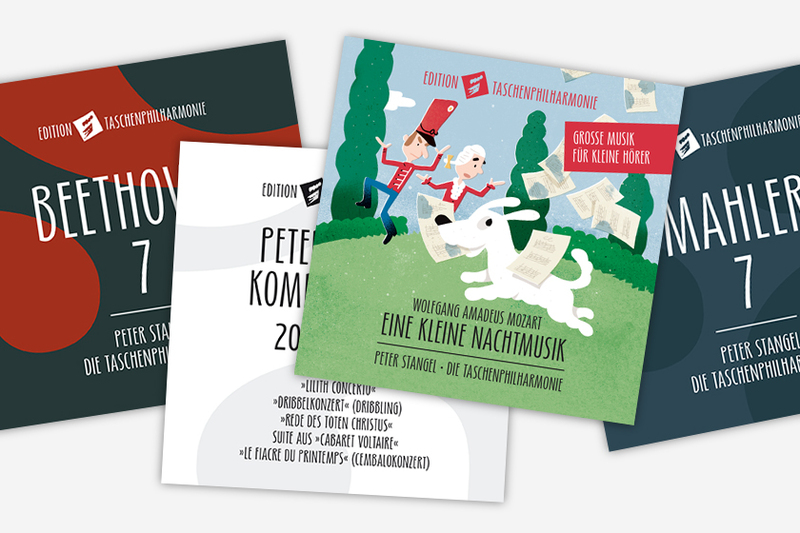 You can see all of them on our german pages „CDs for adults“ and „CDs for children“. We love to get in contact with interesting people so feel free to fill this form or write us an E-Mail to contact@die-taschenphilharmonie.de. All our upcoming performances at a glance. 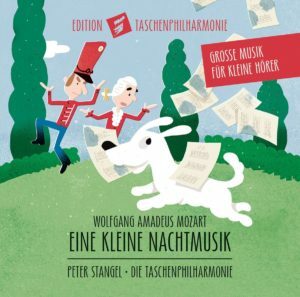 Five CDs for kids and adults released last year in the new label „edition taschenphilharmonie“.